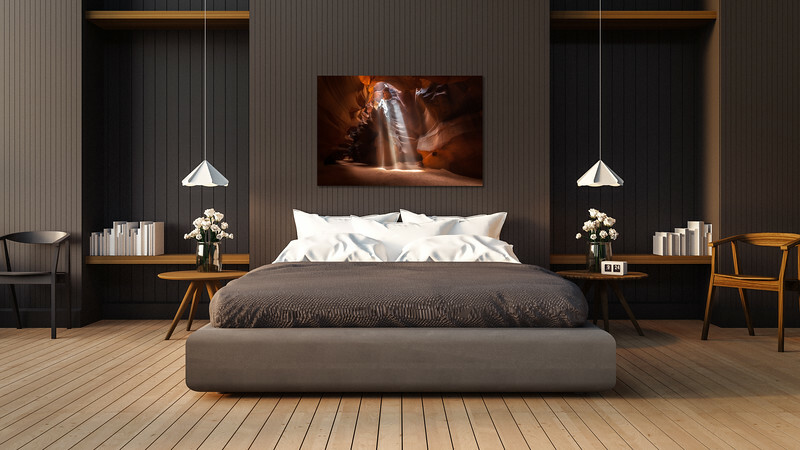 "Trinity" is featured here on archival quality, ultra premium gloss paper, mounted and set directly underneath 1/4" acrylic glass. This limited run is only available by contacting me directly. Not all Love pieces are designed for the home. 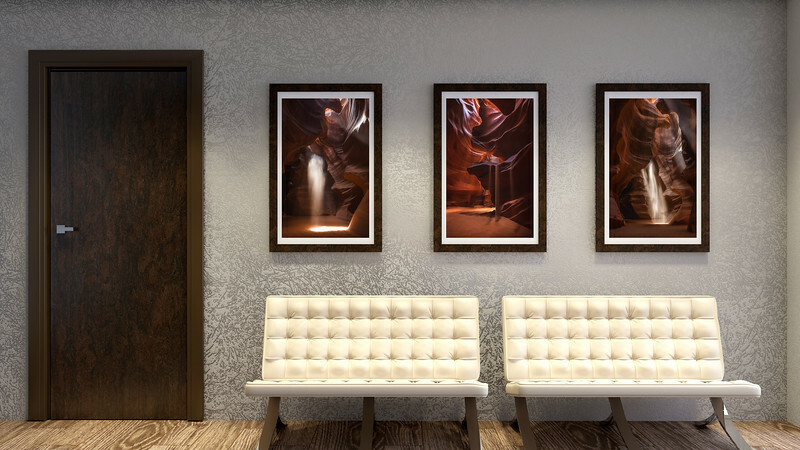 Add flare and luxury to your business, restaurant or office with an ultra premium Love image. Featured here is a 30" x 45" archival quality print, framed and matted in a restaurant setting. Contact me about art for your business. 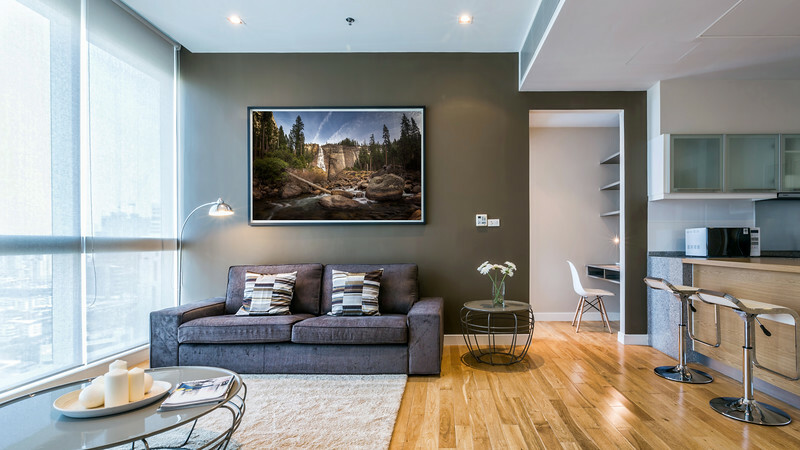 Add Love pieces to your wall to class up public spaces and rooms. 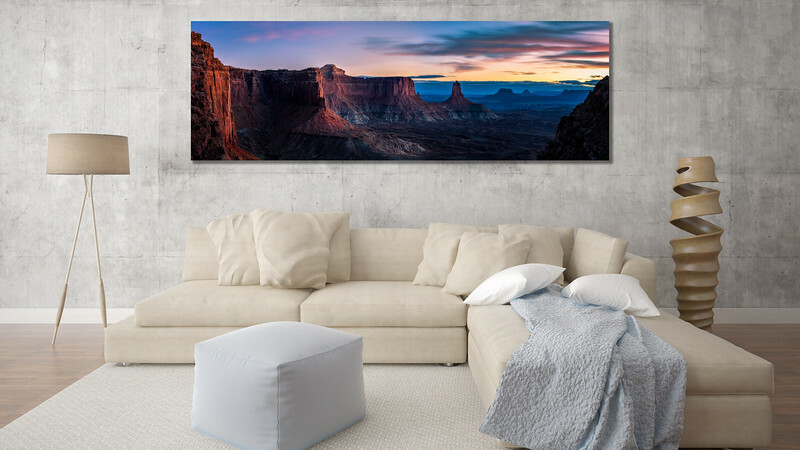 Here are three favorites framed from Arizona printed on 20" x 30" archival quality gloss paper. Contact me personally for discounts on multiple item orders. Various framing options are available. Want to frame the art yourself? No problem. I can have a premium print signed and safely sent to your door. 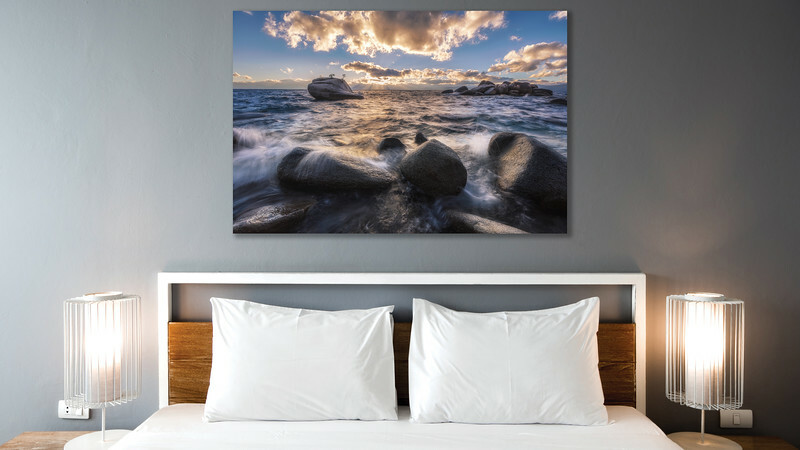 Here is a favorite from back home in Lake Tahoe - "Bonsai Splash" in a bedroom setting printed on glossy HD metal. 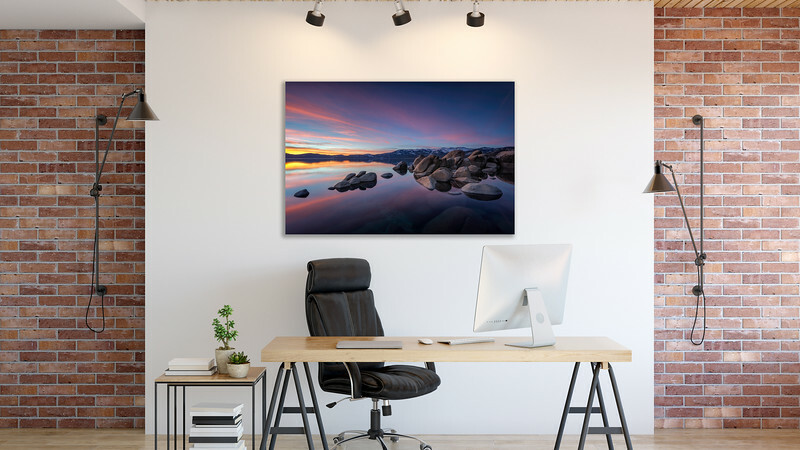 I offer metal prints in various sizes, with stunning clarity and longevity in three finishes: high gloss, semi-gloss and satin (low gloss). Another favorite from Utah - "Courage to Glow." 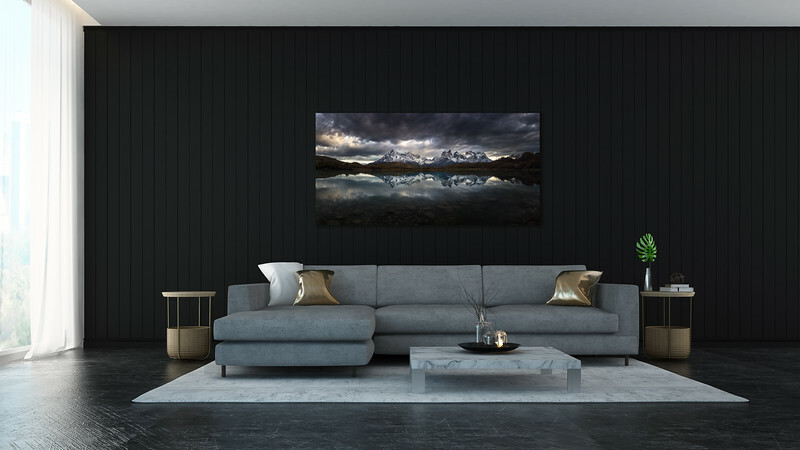 This panorama featured in this living room, is printed on high gloss HD metal and measures 30" x 90." 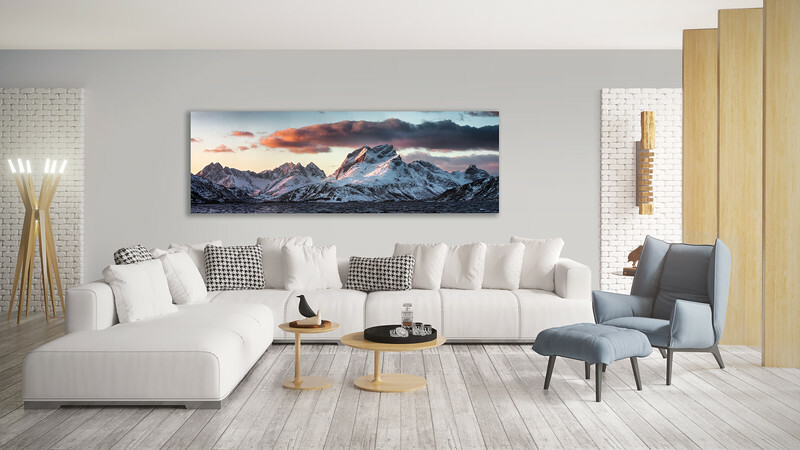 I am happy to offer panoramas in many sizes and in three main substrates: metal, print only and print under acrylic glass. Contact me today about getting yours. "Sierran Bend" captures one of my all time favorite sights in all of Yosemite. 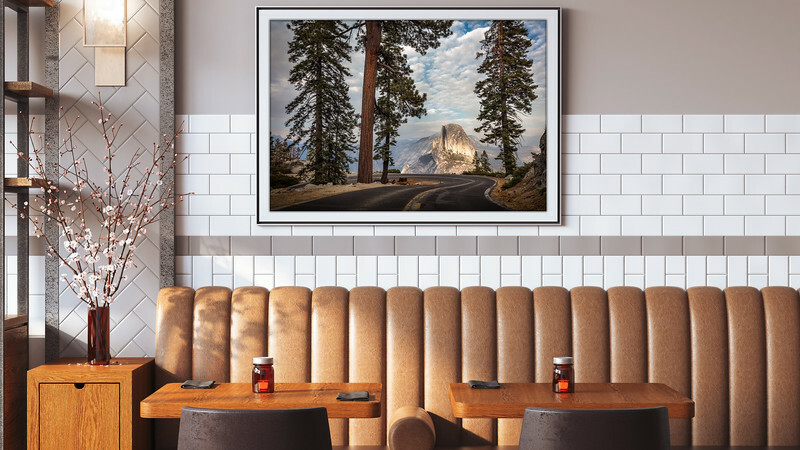 This iconic shot from Glacier Point road will look great in any setting. 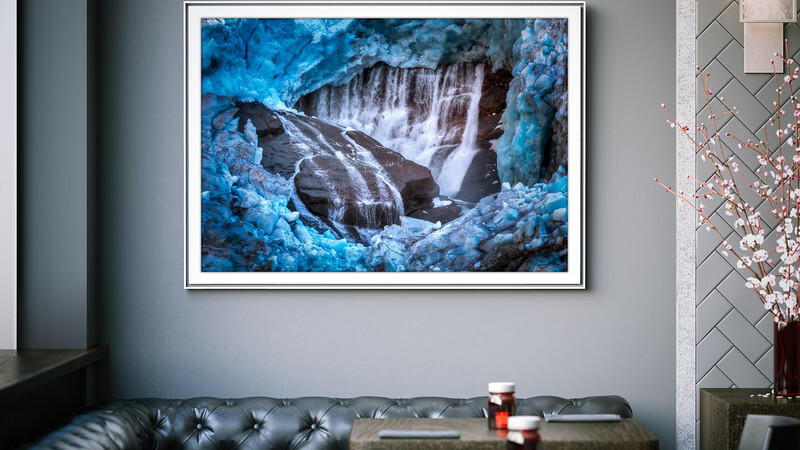 Here is is featured in a cafe setting, framed, matted and printed on archival quality photographic paper. "Trinity" in Dark 16" x 20" Art Mat. 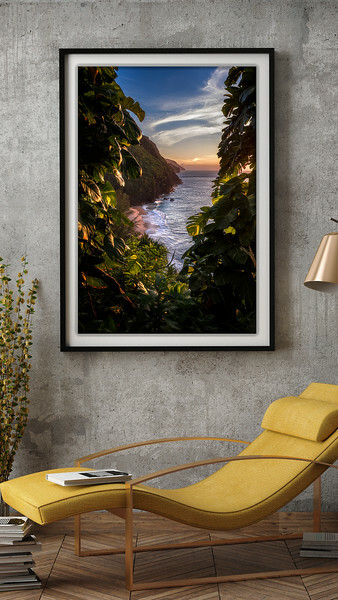 Open edition prints are available in ready-to-frame art mat packs. Mats are available in the following sizes: 11" x 14", 16" x 20" and 18" x 24" (to fit 2:3 ratio prints). Mats are available in white, black and charcoal. 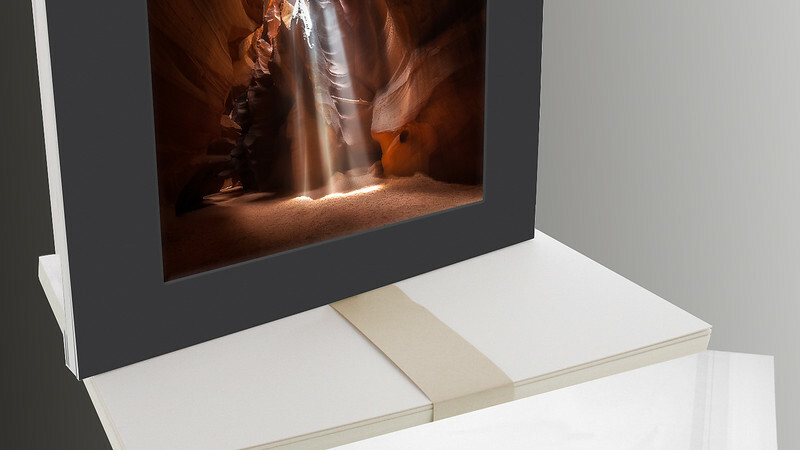 Mat packs come signed and sealed in plastic to protect the fine art print. Only archival quality papers are used. Contact me today to get yours.